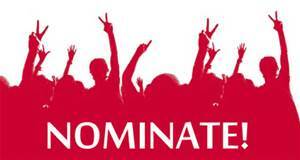 The petition process allows members nominated by not selected by the Chapter Committee on Nominations & Leadership Identification (CCNLI) to add his/her name to the slate by submitting a petition to the Chapter Committee on Nominations & Leadership Identification (CCNLI) within 30 days of the announcement. This year’s deadline for petition submission is February 27, 2018. For a statewide position, the petition must include signatures from at least 5% of the total number of chapter members with representation from each region (488), the printed name of the member and their membership number. 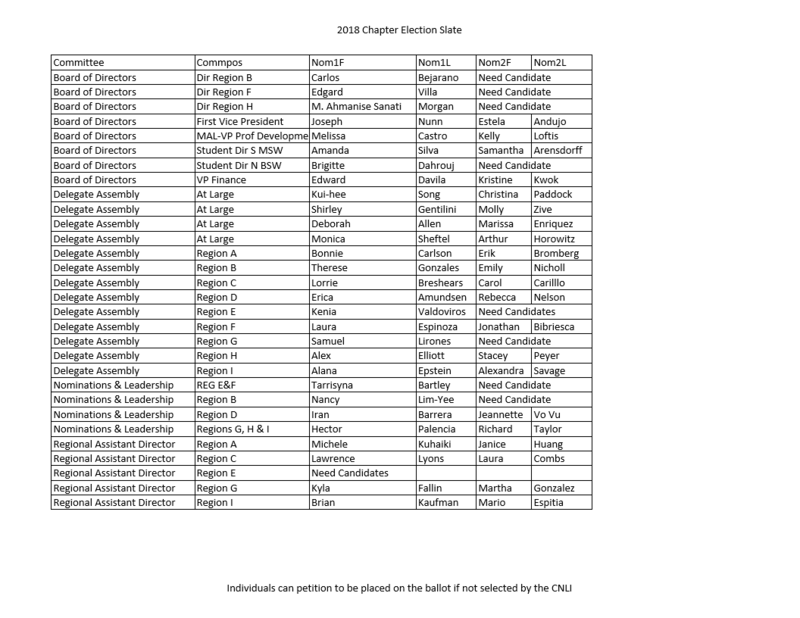 For a region or CCNLI position, the petition must include signatures representing 5% of the total number of region members (ranges from 38 to 157), the printed name of the member and their membership number. The CCNLI must verify that petition signers are members of the Association, the chapter, and in the case of region positions, the appropriate region. The CCNLI must verify that the petition contains the number of eligible signatures required for the specific position for which it has been submitted. For more information, contact Janlee Wong, NASWCA Executive Director at jwong.naswca@socialworkers.org.